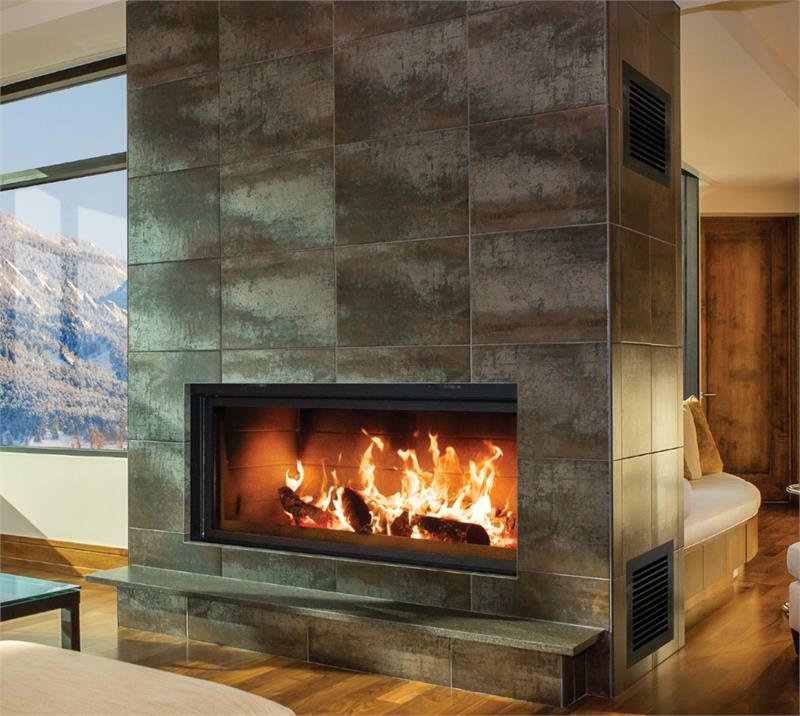 The wall-to-wall fire of the Linear Split Pane Wood Fireplace is an experience unlike any other. 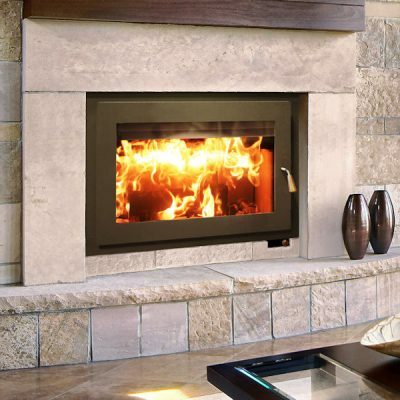 INNOVATIVE, STYLISH AND MODERN – Linear Wood Burning Fireplace with finely crafted glass view which is set inside a three inch deep, ¼” steel lintel. The Linear 50, Linear Wood Burning Fireplace, has a guillotine style glass door, but the glass of the Linear Split Pane is divided into three panes. This Linear Wood Burning Fireplace design has fixed panel on either side of the centrally located door which opens discreetly on a hidden hinge. Normally a wood burning fireplace with a viewing area this large requires a 10″ chimney, but this unit has a hidden secret. Much like a funnel will over-flow if too much water is poured in, so too, will smoke spill out of a chimney that is too small. The chimney size required for wood burning fireplaces is determined by the size of the opening. By using the Split Pane door, this large Linear Wood Burning Fireplace can use 36% smaller chimney, reducing costs, and making installation easier. The clever door design offers a solution to the quintessential problem of big wood fireplaces requiring big chimneys in order to work well. The Linear SP wood fireplace provides the viewing space of a massive fireplace, but offers the door size of a wood stove. It’s common for the glass of wood burning fireplaces to become blackened after regular use, but the RL50 Linear Wood Fireplace has an air wash system to keep it clean.You’ll enjoy a clear view of the flames even after multiple fires. The Split Pane Linear Wood Burning Fireplace is not designed to be used as a heat source but incorporates a heat redistribution system (HRS) to help beat the chill. 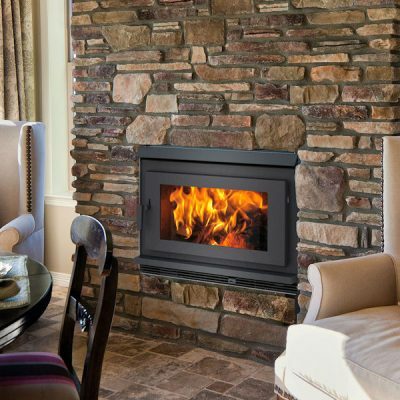 You can choose to heat the room with the fireplace or draw the heat away to another location. 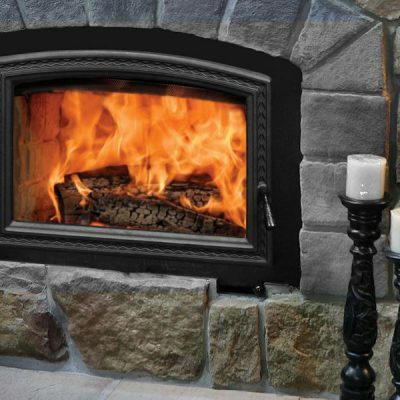 We maintain 2 Fireplace Showrooms in Ottawa and Carleton Place, with a variety of roughly 100 fireplaces and stoves on display. Stop by, or call today for a free in home consultation on your new fireplace project. 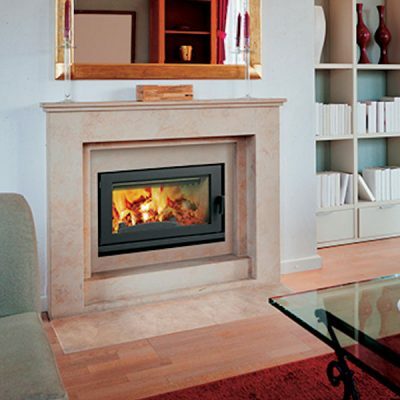 We also offer flexible and affordable Fireplace Financing for your entire project.